We are excited to announce the launch of the first ever dual purpose RNA-seq kit that allows users to chose between full-transcript and 3′-Digital Gene Expression RNAseq libraries with a single kit. The YourSeq Dual RNAseq Library Kit is a versatile, Illumina-compatible RNAseq library kit that can be used to prepare samples for your choice of either conventional full-transcript sequencing or 3′-Digital Gene Expression. At the core of this new chemistry is the Amaryllis breath capture technology that results in an easy-to-use, 4-hour protocol with strictly-enforced strand specificity. 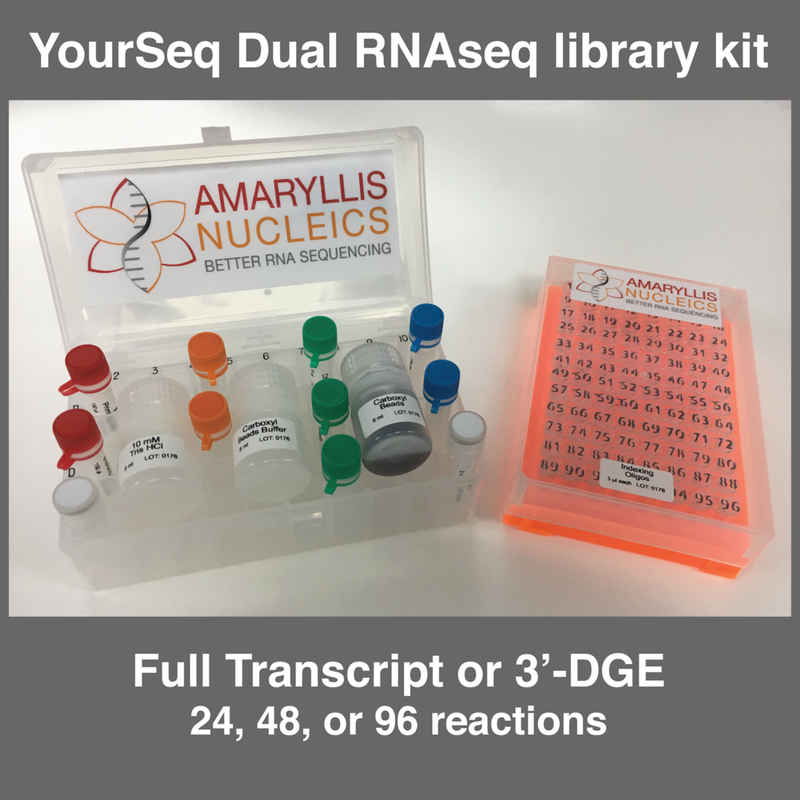 Unlike other kits, Amaryllis Nucleics kits include all required reagents — enzymes, adapters, magnetic beads, etc. They are available in three sizes at $20 per reaction with up to 96-sample multiplexing. Older PostNew Lab? Get the best deals!